Boulder Track Club welcomes all individuals regardless of age, running preference (Track, XC, Road, Mountain, Ultra or Trail), fitness level or athletic ability to become a member and there are no time standards to join. In order to become a Boulder Track Club member, please fill out the on-line membership application form and pay your annual membership fee via credit card or your checking / savings account. 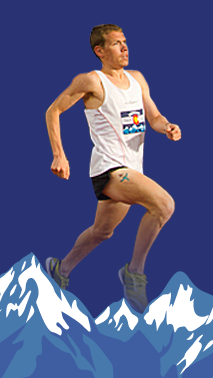 All members will receive a Boulder Track Club T-Shirt or Singlet, discounts with club sponsors and discounts to club events including but not limited to races, training runs, community outreach programs, community fitness clinics, educational opportunities, club socials and regular club meetings. The Boulder Track Club does offer group training options regardless of age, fitness level or athletic ability. Information on these training groups can be found here. The Boulder Track Club is registered with USATF CO (Member No: 32-0348). You do not have to be a USATF member to be a BTC member unless you plan on competing in USATF sanctioned events. For all BTC members that plan on racing USATF sanctioned events, then please register with USATF here and make sure you list the Boulder Track Club and our member number as your registered club.